A SPLENDID REVIEW FROM THE NEW YORK TIMES! 360 pp. Hachette Books. $28. 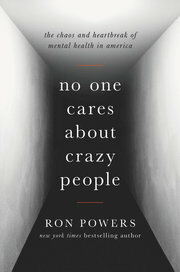 In “No One Cares About Crazy People,” he joins those tumbling souls, two of whom are his beloved schizophrenic sons. He writes with fierce hope and fierce purpose to persuade the world to pay attention. No doubt if everyone were to read this book, the world would change. But its clumsy title (taken from a stunningly cruel offhand remark by one of Scott Walker’s staffers) is painfully correct. The mentally ill are still viewed with fear or suspicion, as broken, as damaged goods or objects of pity. Still, Powers will surely help to correct that perspective; it’s impossible to read his book without being overcome by empathy for his family, respect for his two beleaguered boys and, by the end, faith in the resilience of the human heart. Powers’s stated objective, and one that he brilliantly fulfills, is “to persuade my fellow citizens in the Schizophrenic Nation that their ordeals, while awful, are neither unique to them nor the occasion for shame and withdrawal,” and “to demonstrate to those who fear and loathe ‘crazy people’ that these victims are not typically dangerous, weak or immoral, or in any other way undeserving of full personhood.” But he is less successful in his second goal: to call for America to “turn its immense resources and energy and conciliatory good will to a final assault on mental illness.” In doing so, he creates what feels like two books, alternating his family’s story with a densely reported, sometimes dizzying survey of mental illness through history, from 1403, when London’s notorious Bethlehem “Bedlam” Hospital first began accepting “lunaticks.” He shows how major leaps in science and innovation have found twisted applications in the care and treatment of the mentally ill — Darwin’s theories of evolution become the basis of Nazi eugenics; pharmaceutical companies promoted “wonder drugs,” freely exaggerating claims, playing down dangerous side effects and unjustifiably inflating prices. These are mainly horror stories, broken by the occasional crusader-heroes like Dorothea Dix, who fought for the establishment of America’s first mental hospitals in the 19th century. More often, even the best intentions have had disastrous consequences. In the 1960s the deinstitutionalization movement shifted patients from large, crowded psychiatric hospitals to what was viewed as more effective and humane community settings. Today there are some 10 million Americans with mental illness and only 45,000 inpatient psychiatric beds, leaving the suffering to shuffle between “crisis hospitalization, homelessness and incarceration.” Jails and prisons are now the nation’s largest mental health care facilities. The worst data point: There are 38,000 suicides a year in this country, and 90 percent of the victims are mentally ill.
Midway through, the book fuses into a powerful coherence. Sweeping exposition and finely grained narrative weave together, as confusion, pain and uncertainty emerge in the Powers home. An email from Dean, in college in Colorado, about a football game — “I think that game was fixed, and probably by the government” — strikes Powers as odd. Dean’s behavior becomes erratic. His father blames drugs or alcohol. They learn, as does the uninitiated reader, how the mentally ill retain their humanity, with all its hues, through the perils of the damned, in and out of emergency rooms, chased by police officers, from one good day back into the abyss. Powers and Honoree do what all parents do. 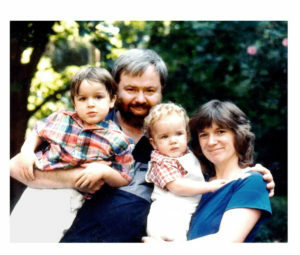 They fight right until the end, when they find their son’s body. Then they fight, with added ardor, to save their other son. Like many families that have struggled with mental illness, the Powerses have seen way beyond their reasonable share of darkness, but they do eventually find a kind of hope and strength. This brave book — which reads like the act of consecration it is — imparts both, and demands society do the same for all who struggle. Previous Previous post: THE REST OF THE BOOBY CD! Next Next post: A STUNNING REVIEW IN THE WALL STREET JOURNAL!